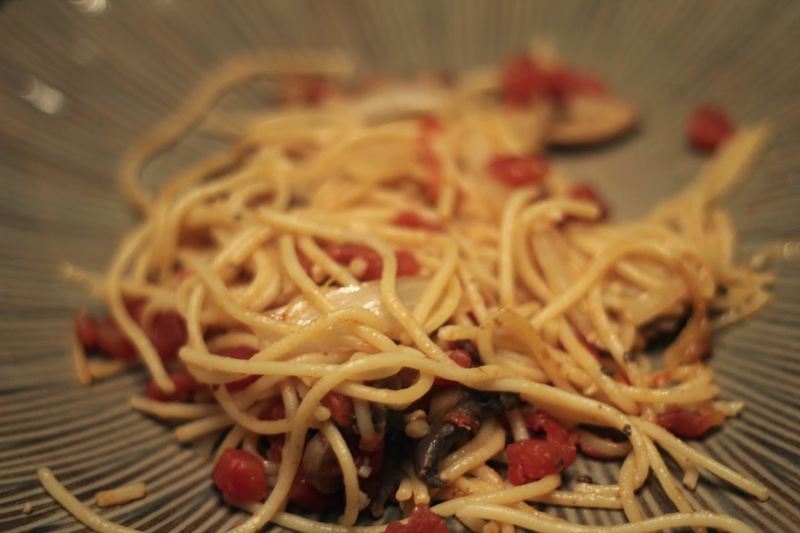 Women on a Mission: Mom Edition: MEATLESS MONDAY: FRENCH/ITALIAN PASTA! I remember when I first started dating Steve, I discovered something I didn't like. I didn't like his version of spaghetti. He would heat up a can of Ragu, boil some noodles, and call it good! Not good enough for me. I like meat in my spaghetti. That is until I went to France. Our host dad Georges was a retired chef. He was an amazing cook that would whip up delicious, tasty, healthy dishes (not all healthy). His roots were Italian, but he grew up in France. He grew up so close to Italy you could see it from his village. One dish he prepared was a simple pasta dish that I thought I could re-create. And guess what? I did! It really was good, so good that Steve said I could keep making it. 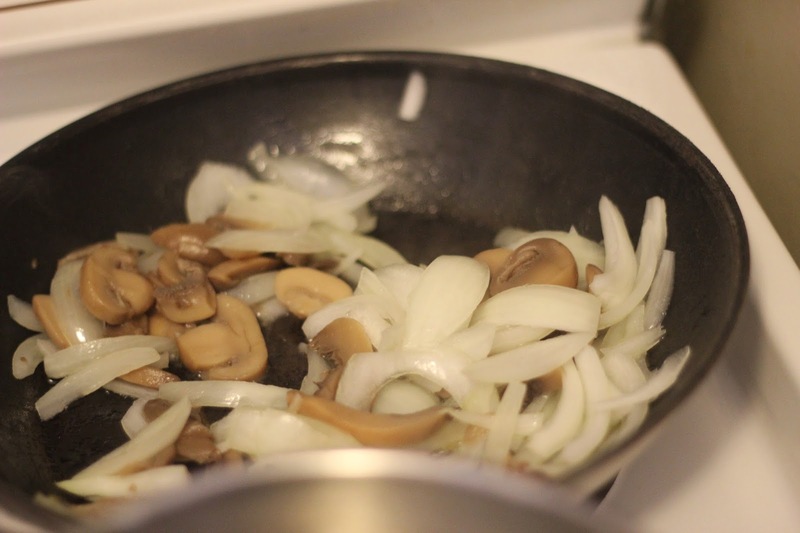 First up, fry up some onions, mushrooms, olive oil, and garlic in the pan. Fry until the onions are tender. While your veggies are frying, boil your noodles. Once the noodles are tender, drain the water and add the noodles to your frying pan veggies. 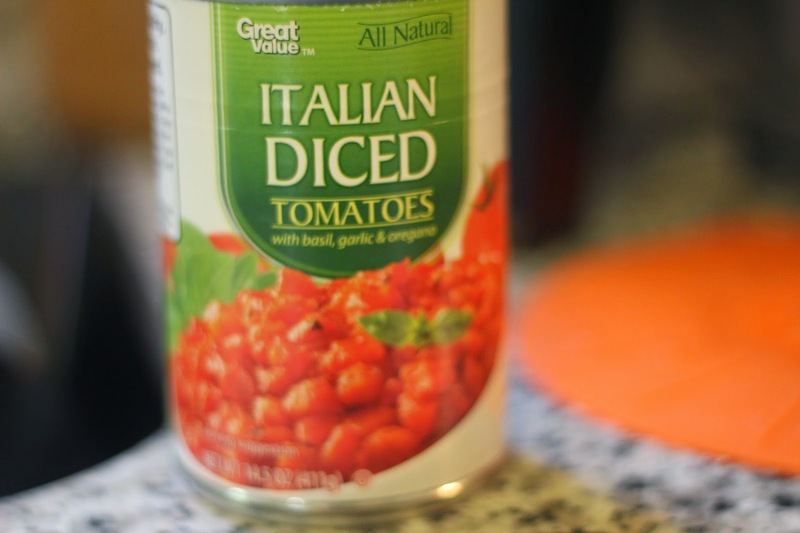 Then, dump in a can of drained (not rinsed) italian diced italian tomatoes. Toss with more olive oil, crushed red pepper, and a little more garlic. Keep tossing until everything is hot throughout. Plate and serve. The next step, is what really makes this dish taste like it did in France. And then, people can pour more olive oil over the noodles as well as fresh parmesan. Encourage this step, because this really makes it delicious! It's meat-free, healthy, and can be made in under 30 minutes. ENJOY!